I’d like to thank everyone at The Justin Campaign for keeping his memory alive. Check out our exclusive interview with Chris here. 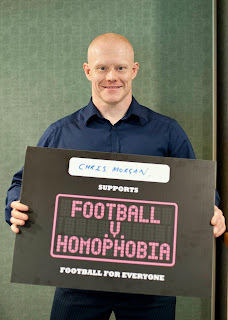 I, like Chris, used my first Gay Games experience (1990) as a stepping stone into the straight world of Nat. & Int. Powerlifting. I saw Chris's 1st competition & the rage which he channeled into explosive lifting. I wasn't as brave as Chris. My teammates knew who I was and supported me as I they, but I wasn't prepared to put myself out there to the World. It's time we support our athletes, our heroes, and our fellow humans in being who they are.